These small Compressor Protectors will time out for the time you set them to after a power surge. When your power goes out but then comes right back on, the compressor hasn't had the time for it's high internal pressures to "Equalize". The compressor needs about 5 minutes off before trying to re start. User time adjustable or fixed. 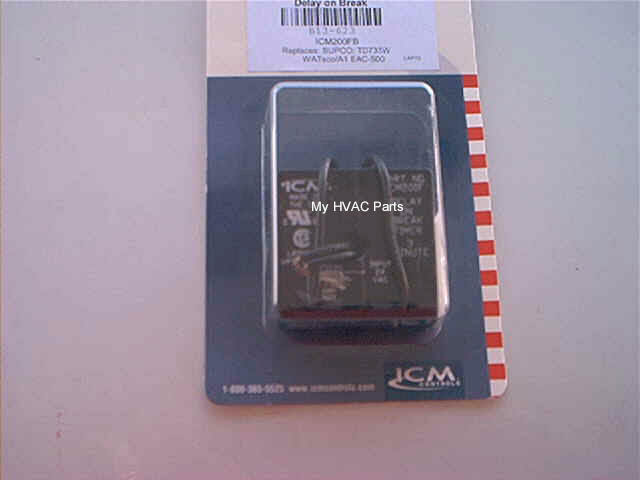 They install by cutting one of your thermostat wires that goes to your contactor coil. Simply join one end to one terminal and the other end to the other terminal. Instructions included. Time Delay: 10 Min. Adj.